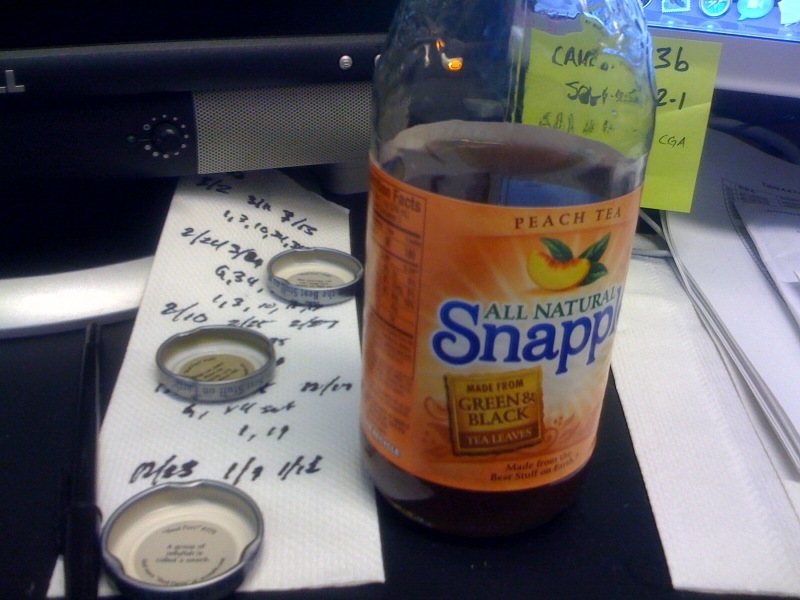 I’m sure it’s not the best stuff on Earth for my diet, but I really enjoy Snapple, particularly the Peach Tea. Aside from it’s general deliciousness, I also enjoy the “Real Facts” included on the caps. I don’t know why I’ve been getting so many about cats lately (three in a row! ), but the trend was broken today when I learned a group of jellyfish is called a smack. I don’t know if all of these “Real Facts” are actually “True Facts,” but thankfully I was able to share this jellyfish information with a colleague who had a disappointing fact about the numbers of times a rechargeable battery can be recharged. 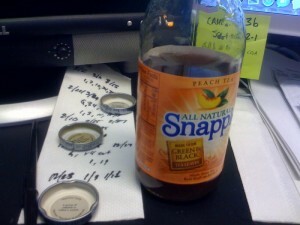 Tags: a pod of whales, a smack of jellyfish, general deliciousness, Real Facts, Snapple, why all this talk about cats?